The continuous uncertainty around the fiscal health of Western European economies and the United States is clouding the outlook on the global economy recovery. Everyone is waiting to see what is going to happen with Greece, the rest of Europe and all those who are linked to them. Despite this reality, what is the outlook for the oil and gas sector for 2012-2013? 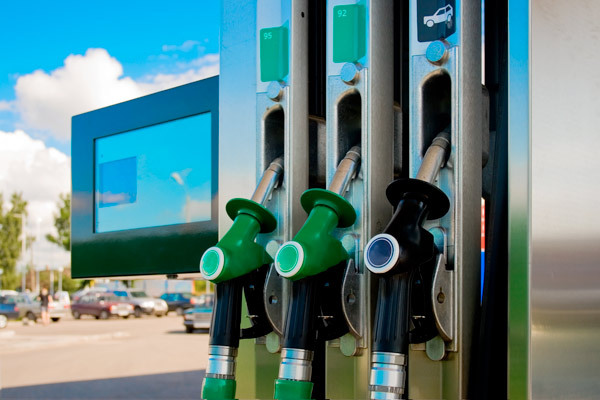 Despite the cloudy conjuncture that we are experiencing right now, the strong demand in China and India is keeping the momentum of the demand, which is preventing the oil price from declining, as it is supposed to be when you look at the grand picture of Europe and in the United States. Overall, I do not expect 2012-2013 to be much different from 2011. The price will remain around 100-110, more or less. For the gas, it is almost the same thing, expect that in the States, gas production is already increasing through oil shale discoveries and production. The supplies are immense and accordingly, the prices are going down. Overall, I do not expect 2012-2013 to be much different from 2011. The price will remain around 100-110, more or less. Now, if we talk about the economic side of the story, which is affecting the supply and demand, there is another factor to consider which is playing a major role, and that is geopolitics. But it depends how Arab spring will evolve during 2012. Also, let us not forget about the relationship between the United States and Iran and the current feud we are seeing. I really do not know anything about those two elements, but I think that overall, an oil price of 100 would be sustainable for the economy. At the same time, we need to look at the interconnectedness of the world. With Europe and the United States, if clients reduce their consumption, then China will produce less, and that will definitely affect the economy. That was the normal logic conclusion that everybody was betting on when the financial crisis started. The crisis started in the United States, and then it spread to Europe and other countries. However, we have observed that the Chinese market, the Indian market, even that of the Middle East, managed to obtain a 5 to 8% of growth, which had a huge impact on the oil demand. You are right: at the end of the day, China is like a world factory, so they need to sell to everybody. And yet, presently, even they are trying to create a local market. They have very ambitious plans to boost their national economy and normally they know how to meet their targets. Therefore, I think that in general, the world economy will not be so much of a disastrous picture. The second scenario is, of course, a geopolitical situation. In the case of an attack on Iran and a subsequent spike in oil prices, the profits will go to the oil producing country. Thus, oil producers are in a sort of win-win situation. That is something we do not know. It is a win-win situation, but at the same time, it could cause a crisis of the euro that would, for a short time, spike the oil. It could affect the feeling of prosperity in the area. If we have a crisis between Iran and the States that lasts one month, what happens after? Things will be subdued and the whole environment for investment will disappear. Let us now look at Kuwait and its oil and gas sector. 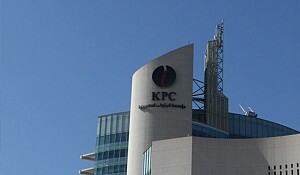 KPC plans to raise its production capacity to four million barrels per day by 2020. What do you expect to be the main challenge in reaching that amount, given that the oil and gas sector is still closed to investment from foreign companies and only allows for technical service agreements? First of all, KPC initiated the plan sometime in the 90's to invite International Oil Companies (IOC's), in order to bring the number of barrels per day from 2.4-2.5 million barrels per day to 2.9-3 million. This gap was supposed to be closed by producing the extra barrels from the north. 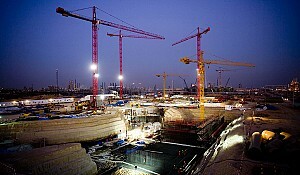 This was Kuwait Project. Unfortunately, this was not achieved right away, due to local political disputes. Eventually, however, they were able to reach 3 million through production increase and upgrading of their systems; this happened last year. So what they meant to do by 2001 was just accomplished recently. It took them longer, yes, but they managed to do it. Now, they created another technical service agreement called ENHANCED, which they signed with Shell, if my memory serves me right. There were five other with IOC's, but I don't know what they are doing with them. With this arrangement, the IOC managed to have more contribution to Kuwait Oil Company (KOC) activities. There are heavy amounts of oil for which they need to have the technology. I think KOC will be a more proper entity by addressing the challenges, because those are their daily "headache", as they say. At any rate, they have this 2020 plan, which could turn out to be 20-25, but who knows what will happen? How does AREF Energy fit into this plan? You mentioned in an earlier interview that you could serve as a partner for one of those companies. How difficult is it to do business in the oil and gas sector of Kuwait? What are the opportunities you see? How can you help? The oil and gas sector of Kuwait is very closed. We might be the hardest market to penetrate. Despite this, you have a lot of contacts, so there are many ways to go about it. 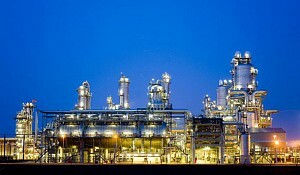 Usually, it is either done through JV or agencies, through arrangements with oil companies. The only thing is that right now, only oil and gas services are available: tenders, contractors, etc. We have a local company that we control. 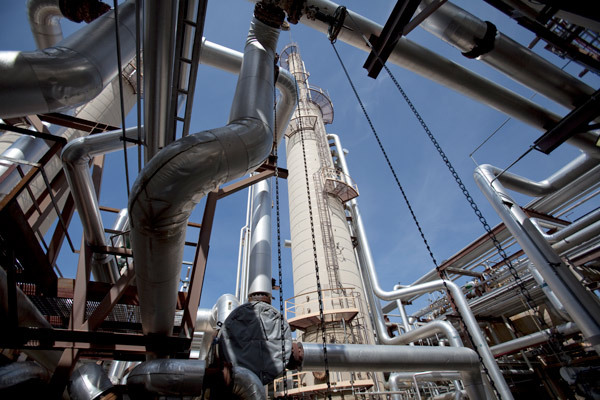 They are specialized in oil and gas services, whether it's upstream KOC or downstream KNPC. We are a holding company, not a normal operational one, so we have a basket of investment, assets, and we carefully pick our investments in such a way that they can serve in Kuwait. So far, we have been successful in our investments. We have an investment in India. This company now works jointly with our local company in Kuwait, as is another company in United Arab Emirates. We will be an honor outside and can have a joint venture with our local player. The oil sector in Kuwait is the largest cash provider; the whole economy rests on the contracts that KOC and KNPC are providing. This is where we come in. All companies in Kuwait have their own agencies and we are adding agencies through ownership of these companies. This way, we can have more say in the companies that we have ownership in outside Kuwait. Also, we are doing research for certain niche technologies that can give us the advantage over others. How do you identify these opportunities around the world? First of all, we have a very highly qualified team. All of us came from KPC, whether it was KPC, KOC, KNPC or PIC. The oil and gas sectors are represented in AREF Energy, so they have the know-how and they know the contacts. From this rich experience, we are reaching out for the right on companies. It seems that one of the main challenges of AREF Energy is that they are very driven towards net gain on the sale of investments. Do you expect to see more recurrent cash flows in the future? The aim is to reach the point where we will have a lot of recurrent payments. This will be when the investment on the subsidiaries is operational. However, as a holding company, that is the case. For holding companies, most of the money will come as a proceeds from exiting. After that, you reinvest, and so on. That is how such a company manages to survive. Last year, I was reading about Kuwait Energy and they were giving out dividends. Yes, they gave out the first dividend in five years. Some companies are doing very well, but due to the nature of the business, they are only on ascending growth trajectory and will have to keep the cash. AREF Energy, as a holding company, managed to survive on the dividends coming from those subsidiaries, as well as selling, getting cash, and continuing the process. AREF Energy's policy and philosophy is to hold the investment between 5 to 7 years only. And now a question about your investment strategy. You are now diversified geographically and have investments in the States… How do you manage risk? How do you identify opportunities? We are still focusing on our philosophy, which is to be active in many areas. Of course, we cannot spread all over the world. This is too dangerous and we don't have the resources to do so, but we can still focus on many areas around Kuwait, where the oil is. All these countries pump a lot of money in the oil sector despite the global crisis. Many nations depend on oil to survive. What is the ambition for AREF Energy? Where would you like to take the company? The long-term vision is to be a very active, well-know, decent player in this region and in the oil sector. 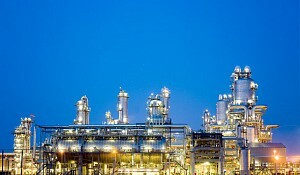 When I say this sector, I mean oil and gas, mainly their services, and also power generation. It will be a big challenge… Many countries pumped a lot of money into the sector, because as you know, it has really subsidized, so the growth is phenomenal, beyond anybody's expectations. Unfortunately, there are still countries that burn the oil to generate power, which is a very valuable resource. There might be a shift towards renewable energies; there are some attempts to achieve that, as you may already be aware of. I think that in the 70's, Kuwait was the first to talk about solar energy. We have KISR Kuwait Institute for research which promoted solar energy before anyone else. So I think there are serious attempts to invest in renewable energy, but by that, I mean mostly solar energy. I haven't heard anything about wind or anything else. What we are experiencing right now is that electricity is heavily subsidized. In countries such as the States and Japan, when promoting renewable energies, they subsidize those energies to facilitate the campaign. In our case, they need to bring the subsidies down, and then maybe something can be done about renewable energies. Again, since the government is paying both sides, renewables are going to fly, because they are the same line of subsidies. But there are attempts, definitely. We can see a lot of conferences, gatherings, forums… Everyone talks about renewables. I think that a week ago, there was another one in Abu Dhabi. We need to think about how successful we can be, as a region, to be able to change our existent country. It will all depend on the government's seriousness to make a difference. Since the government adopted the Kuwait development plan in 2009-2010 to spend $130 billion, it has not been going very well because of the many disputes between the government and the parliament… Is the oil and gas sector somewhat different from the infrastructure and real estate sectors? Is the government more serious about pumping money into the oil and gas sector? 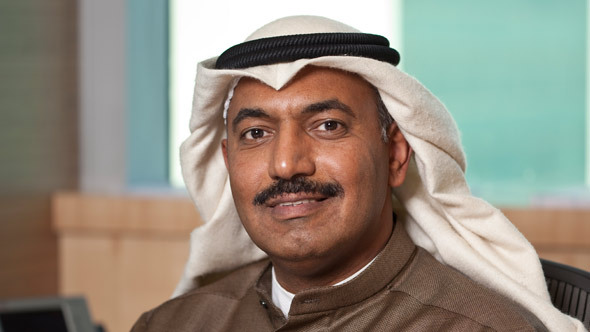 If we look at Kuwait Petroleum Corporation, which is a government-owned (or state-owned) company… They retain their own profits and they have maybe an excess of 14-15 billion dollars, so they are self-financed and they don't seek government approval to initiate any ventures, deals or projects. If we look at the plan that the government is talking about, which was approved by the assembly, they included the oil and gas sector projectsfor the next 7 to 10 years. If we take those projects out, there is only a small part left, and that piece is comprised mainly of hospitals, schools, houses and roads. Now, if you look deeper into the matter, you will find that these are very old projects – we could call them "pending projects" – that need to be initiated as quickly as possible. Kuwait has sort of a negative track record for investment. 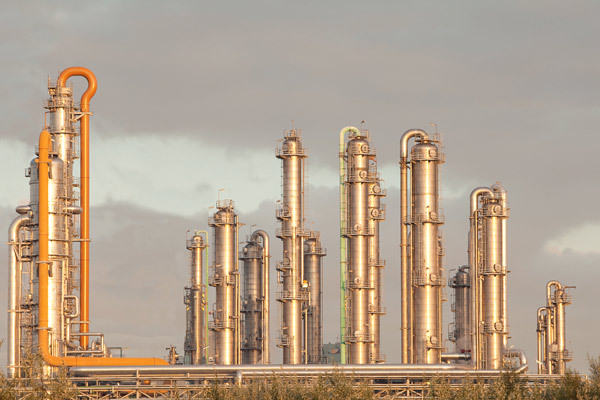 We have seen many problems surrounding the construction of the Al Zour refinery. This is a type of investment that is supported by the government and it is part of the development plan. What is the future outlook, in your opinion? Is the investment environment going to improve? To be honest, I do not see any signals that the foreign investment environment will be encouraging in Kuwait. There haven't been any changes, from what I can see right now. Things are the same. If we look at a ranking of countries in terms of attracting foreign investment, Kuwait will be in one of the bottom spots. Yet there are some opportunities – a mega-project – that require new technology which is associated with large corporations around the world. How can we attract foreign investment if the local investment companies are uprising beyond the borders? Besides AREF Energy, which is a small company, the rest of the assets are outside of the country. Kuwait is a small country which cannot absorb all the money. Yet there are some opportunities – a mega-project – that require new technology which is associated with large corporations around the world. 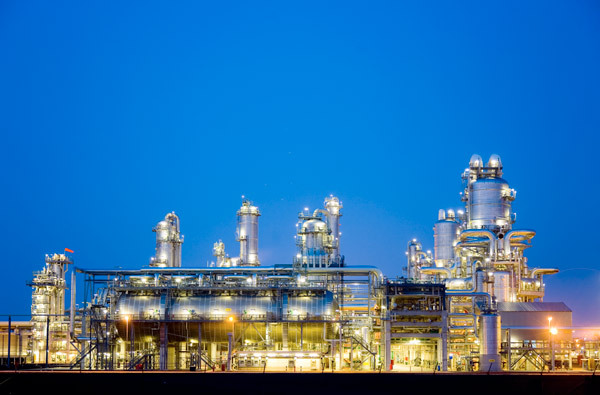 The only successful project of large proportions that was created in Kuwait is EQUATE, which is a partnership between Dow Chemical, KPC, PIC, etc. There were two EQUATE's and now they are talking about a third one: now that is going to be quite a challenge. But how will it turn out? I have no idea at all, because the situation is different from before. Now we have a case with KPC, so would that case impact the possibility to have an expansion of investment to Kuwait? That remains to be seen. 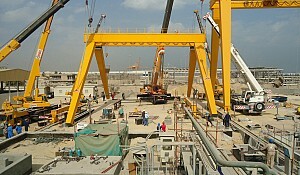 Pioneers in Oil & Gas Contracting in Kuwait – HOT Engineering Co.